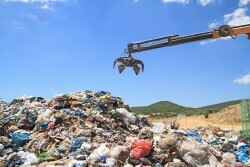 NSW government to scrap waste levy. The NSW government’s decision to repeal the waste levy for a trial period of 12 months has been welcomed by the Asbestos Safety and Eradication Agency. This levy was charged at tips and landfills across NSW, and acted as a deterrent for people who wanted to dispose of asbestos safely. According to the Herald Sun, the charge was approximately $107.80 per tonne in Sydney and $53.70 per tonne in the more remote parts of NSW. To avoid paying the waste levy, many opted to dispose of asbestos in the streets, bushland and other public areas. The most notorious example of this occurred last year, when a “shonky builder” dumped asbestos near a daycare centre in the middle of Sydney. Peter Tighe, chief executive officer of the Asbestos Safety and Eradication Agency, said that scrapping the waste levy would prevent this sort of activity from ever happening again, as well as raise asbestos awareness throughout NSW. “This is a great decision by the NSW state government and I would encourage other state and territory jurisdictions to watch closely the results of this trial,” he said. Mr Tighe added that a number of other steps are being taken, not only in NSW but around the country, to ensure people understand best practices when it comes to asbestos removal and disposal. For example, WA is another state looking to remove its waste levy. It’s also Asbestos Awareness Month, which encourages Australians to “think smart, think safe” when it comes to asbestos and equips themselves with the knowledge and skills to manage this dangerous substance in a safe and effective way.